At Gang Warily we have three state of the art 3G, all weather surface 5-aside football pitches. The three pitches are available for hire by the hour as either one off bookings or regular weekly slots can be booked. At Gang Warily we have one adult eleven a-side football pitch. 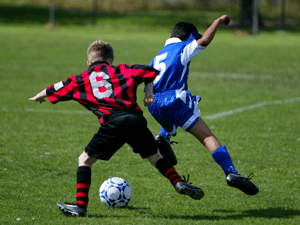 At the QE2 Recreation Ground we have 3 adult pitches, 1 junior pitch and 1 mini pitch for hire. These pitches are renowned for having the best drainage in the local area, our award winning grounds staff work very hard all year round to ensure they are kept to a very high standard. There are ample changing facilities at QE2 and Gang Warily for teams and officials.